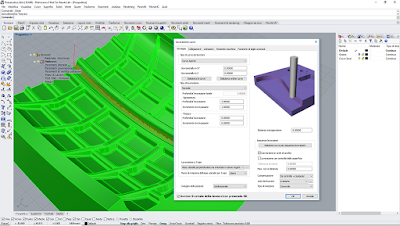 Version 1.4 of RhinoNC is now available and compatible with Rhino 6 at 64-bit. RhinoNC is the modular CAM for every 2.5 to 5 axis milling requirement. Due to the different needs of manufacturing companies, the software is designed with the flexibility necessary to respond over time to the growing demand for end-user performance. Companies that currently have simple needs might keep using RhinoNC in the future by adding the planned functions or strategies, thus enhancing it from time to time.